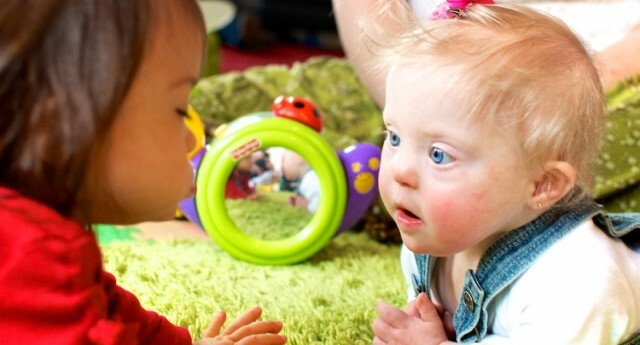 3 Ways Parents Of Kids With Down Syndrome Can Find A Play Group, Make Friends, And Stop Feeling Lonely! You are here: Home / Parenting / 3 Ways Parents Of Kids With Down Syndrome Can Find A Play Group, Make Friends, And Stop Feeling Lonely! 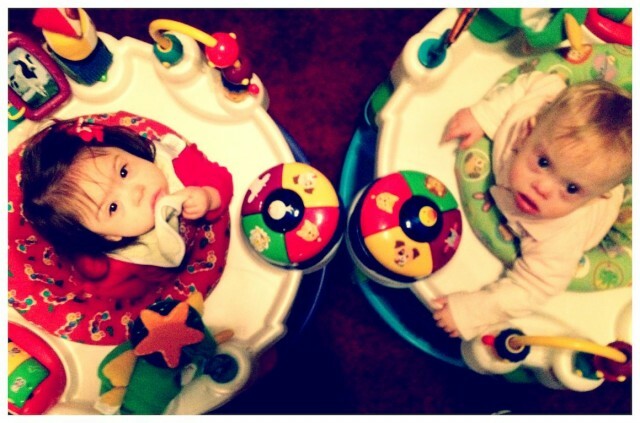 One of the biggest fears I had when Noah was born was that we’d never have any friends who could really relate to us. Sure, we had lots of friends with young children, but none of them had a child with Down syndrome. 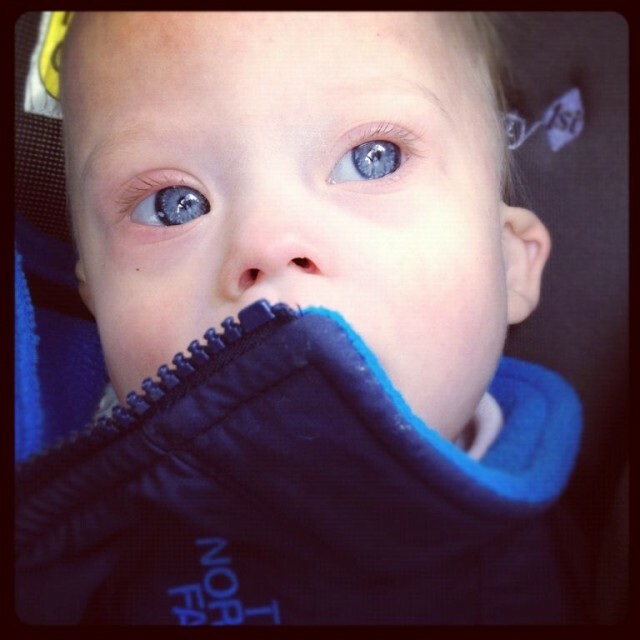 So even though they could relate to us as a parent, there was no way they could relate to us when it came to raising a child born with Down syndrome. 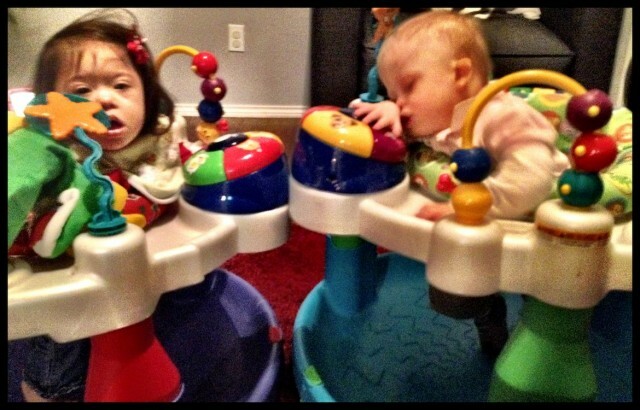 The problem was I had no idea how to meet other parents who had kids with Down syndrome. I mean was there a local coffee shop where all of these awesome families hung out every week? And even if I found it, what if there was some sort of secret password I had to know in order to get in the door? A fear many new parents of children with special needs have…. I was new to the world of Down syndrome and had no clue how I’d ever find a supportive group of friends who could totally relate to what I was going though. And on top of that, I’m in extrovert! I’m supposed to be good at this sort of thing. I’ve gotten a lot of feedback from other parents who are in the exact same place as I was 13 moths ago. They’re worried they’ll never be able to find a good group of friend, who’ll be able to really understand what they’re going through. Most fears are just like the monster under the bed…not real. Well it’s been a little over a year since Noah was born (he’s 13 months in today’s video) and it turns out my fears of not finding any friends never came true. We’re blessed to be surrounded by a great groups of friends who can relate to us, cry with us, laugh with us, and most importantly share life with us. Sadly, I know that not everyone’s experience has been the same as ours. 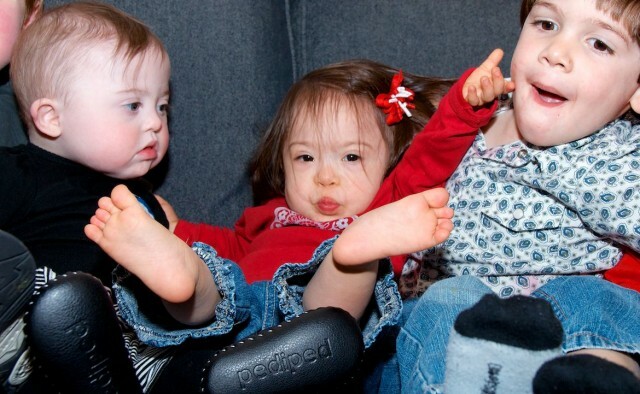 I know that some of you have had a hard time finding friends who have children with Down syndrome. Some of you feel like you’re totally alone on this journey. In fact, I’ve heard from more than one person that when their child was born their family, and in some cases even their spouse, offered no support. This breaks my heart. 3 ways you can find and make new friends today. I wanted to share some of the ways we’ve made new friends over this past year. I understand that every situation is different, and that not all of these will apply to every person. However, my hope is that this list will give you a good starting point, or spark a totally different idea in your mind. Don’t push people away, be transparent! The day after Noah was born, we sent out a blog post called “Spoiler Alert: Our Son Was Born With Down Syndrome” to our friends and family. We had already talked to our closest group of friends and family in person or over the phone, and wanted to send out an upbeat email to the our bigger group of friends and family; friends you only talk to once a month, coworkers, classmates, etc. It was important for us to let as many people know about Noah’s extra 21st chromosome as possible so the news was out and the open, and hopefully to help minimize any award conversations. Who cares about 6 degrees of separation? All you need is one! By telling as many people as we could as quick as we could about Noah’s Down syndrome diagnosis, we made it possible for our friends to “refer a friend.” It sounds kind of cheesy, but that’s exactly what happened. You never know who you know, that knows someone, raising a child with Down syndrome; and would love to introduce you to them! 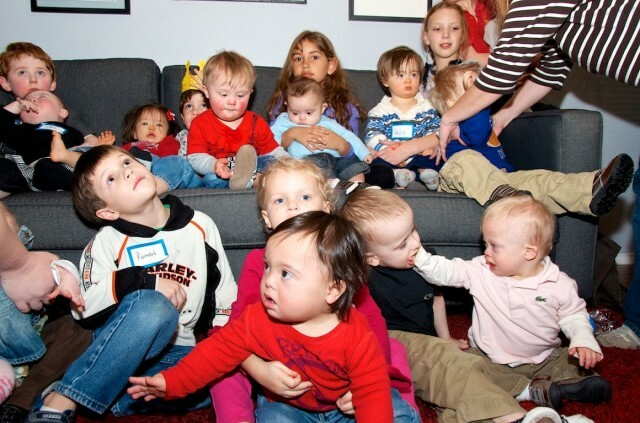 We had several friends reach out to us almost immediately after learning that Noah was born with Down syndrome, and offered to connect us with friends of theirs who wanted to offer their friendship (and encouragement) to us. We’ve met some of our closest friends after being introduced to them by a mutual friend. In fact, part of the reason I started this site was because of some encouragement I received from one of our new friends. If you are struggling to find supportive friends I want to encourage you above all else to be transparent with your current friends. I’ve talked with people who have kept their child’s Down syndrome diagnosis from their own family for over a year! (I’m serious!) Here’s a protip for you, don’t do that. So tell the world how proud you are of your child, and who knows you may just end up making a new best friend in the process. Put your coat on and head out the door! New friends await. Unless the only friends you’re wanting to make are Mormons, and cable tv salesman, you’re going to have to get out of your house! Sure there are a lot of great websites out there where you can meet other families, ahem, but if you’re wanting to meet some local friends, you’re going to have to turn off the computer, and get out of your house. If you’re an introvert, or especially shy, this may be a challenge for you, but I’ll assure you the benefits far outweigh any uncomfortableness you may feel. It’s time to un-plug, and head out! Yes, I’m talking to you. We ended up going to the new parent meeting, and even though it was pretty emotional, we ended up meeting some great people, many of whom we’ve become great friends with. If your city has a local Down syndrome support group I’d highly recommend you get involved. Our local group does various activities throughout the year, including a weekly Mommy and Me class that my wife enjoys, and a bi-weekly happy hour for dads. Find a local Down syndrome support group..
To find out if your city has a local Down syndrome group, simply go to Google and type in “Down Syndrome Support Group [Your City].” Additionally, theNational Down Syndrome Congress, has a great searchable database of local support groups in the United Sates, and the Gifts website has a comprehensive list of Down syndrome support groups outside of the U.S.
By the way, I’ve met several people who have driven hours to come to some of the Guild’s events because their city doesn’t have a support group. So if your city doesn’t have a local group you may want to find out if another major city that’s in driving distance from you has one, and consider if it’s worth the time and resources it would take for you to be a part of it. 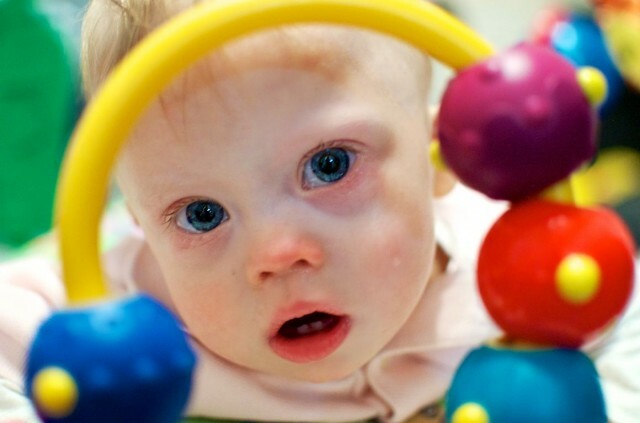 In addition to local Down Syndrome support groups, there are lots of other places you can go to meet to new people such as neighborhood parks, indoor playgrounds, and your local church. If you’re in a major city chances are there’s a church in your area that has a “special needs ministry” and attracts a lot of families raising children with Down syndrome. I think a good church is one of thebest places to meet new people and develop friendships. Just look at all these awesome kid-o’s! What makes the Rockin’ 21 get togethers so fun is they are purposely laid back, and give people the chance to just relax and get to know each other. We typically do them on the last Sunday of the month, between 4:30-6:30. As far as food goes, we do it “pot luck” style. One of the other moms is an event planner and does an incredible job of organizing all of the various snacks, drinks, desserts, etc. People aren’t pressured to bring anything if they don’t want to, or can’t afford it, and we always have more than enough food! It works out great! Another great thing about these get togethers is it allows new parents a chance to see and interact with children who are just a little bit older than their own. This makes it not so overwhelming for new parents, as well as provides a great deal of hope and encouragement. Also, since these Rockin’ 21 parties are open to whomever would like to attend we often get a chance to meet people from other cities who decided to make the drive. How cool! In fact, several people whom I first met, and invited, through our Facebook community have not only joined us, but have become “real life” friends of ours! For example this is how we meet our good friends, the Koch’s, whose son, by the way just had an amazing recovery from open heart surgery! Woo Hoo! Depending on where you live having a monthly dinner may not work for you, but perhaps there is something else awesome you could do to help people meet and develop new relationships. Don’t be afraid to think out side the box, and don’t get discouraged if the first few (or 20) ideas fail. Just keep trying. There’s a lot of creative mom’s that read this blog, and I can’t wait to hear what sort of ideas you come up with! Don’t get frustrated if your first idea isn’t awesome. Making new friends takes effort,…but it’s totally worth it! What has your experience been with finding other parents who could relate to you after your child was born? Has it been easy, or a challenge? What are some of the ways you have meet new parents? For all the seasoned parents out there, what tips do you have to help parents develop friendships with other parents who are on similar parenting journeys? Please take a minute to leave a comment below and tell us about it. You never know how your comment could help someone else! this is great advice for new parents, I am not a parent but an early childhood educator working with kids with special needs out of Toronto canada. I just want to let you know that the link in your last email is broken! I had a cousin with down syndrome. Our family was so fortunate to have Shawn in our life. My kids grew up with him and they often were dressed alike for pictures. Everyone that met Shawn fell in love with him. He was also spina bifalda. He lived to be 37. We have a down syndrome at our church. His mother could not handle him so his grandmothher is raising him. What love these children give. I’m an extrovert too – I’ve met people at dept stores, Drs office (before going under anesthesia! ), walking around, etc… Even for me, this was not easy at first – did not want to be intrusive – but I did it – so happy for extending my hand & open to receiving so many incredible families in our lives — My awesome teen child totally ROCKS! !